Let me tell you what I love to do in Taipei. For the traveller, Taipei is perfect from the point of view of nightlife, transport, dining, exploring, safety, shopping and museums. There is so much to do regardless of your budget. At the risk of sounding like an obsessive anorak-wearing, thermal flask-toting freak with a notebook: the main reason I go to Taipei is for the museums. The National Palace Museum in Shilin is my favourite. I have many happy memories of my time there with E when we were young girls. We loved the tearoom and took photos outside in the traditional gardens. 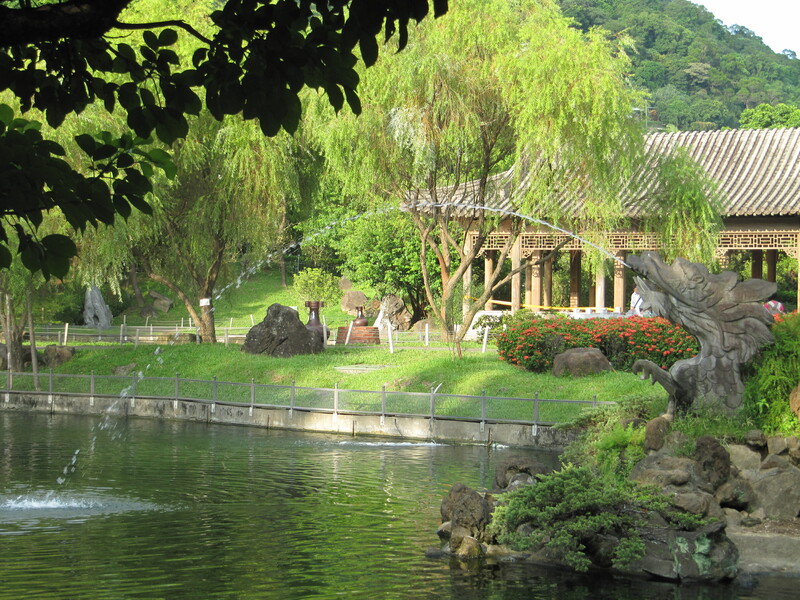 I love Chinese gardens – it is written in the Tao Te Ching that man follows the earth and the earth follows heaven, therefore it is not for us to interfere with nature but to assist and live in harmony with the earth. It’s like the Japanese wabi-sabi philosophy that I admire. 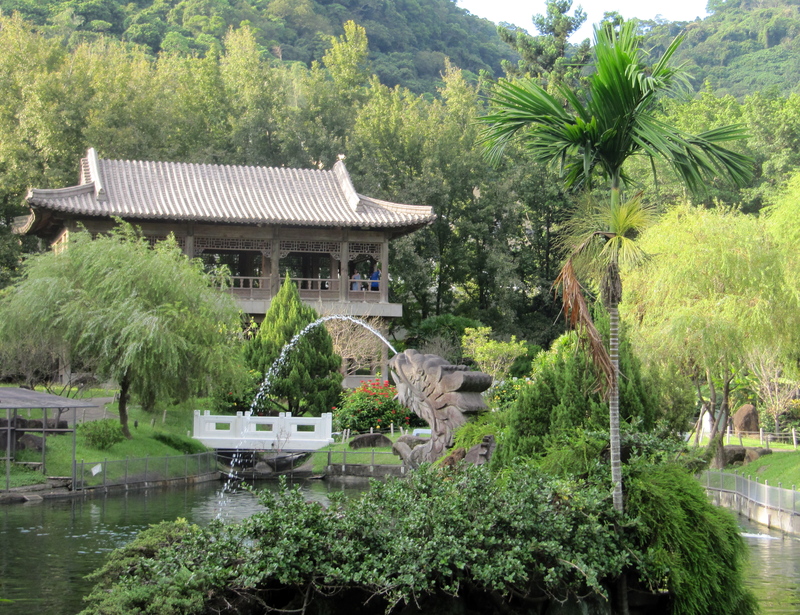 This principle can be see in all Chinese gardens – simple and beautiful. The National Taiwan Museum is a very old and housed in a lovely neoclassical building. it was set up about 100 years ago during the Japanese occupation, we are grateful to them for that at least, no? There is a zoological and botanical section in the NTM. Both museums concentrate heavily on Chinese History, of course. 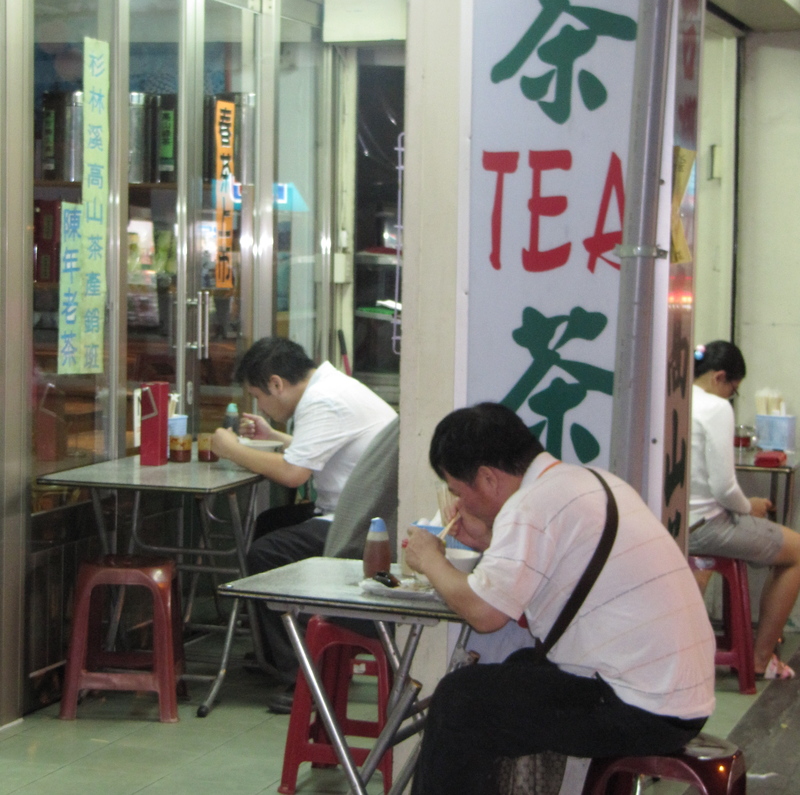 Taipei is also home to another passion of mine – loads of Chinese restaurants.Many people who have never explored the fabulous and varied cuisine which is Chinese will know of little beyond a spring roll but every region has something unique to offer. Taiwanese Chinese cuisine is basically Hokkien but there is a Japanese influence due to the occupation at the beginning of last century.The American input is notable as well, much more than some other parts of Asia. Head in a bowl of noodles – bliss! Being an international city, you can get whatever you want here, but I come for the local delicacies, like the Ba-wan (or roù yuán) which is like a rice flour dough stuffed with bamboo shoots and mushrooms (often pork, though I like the vegetable variety) then covered with some kind of sweet and sour sauce. 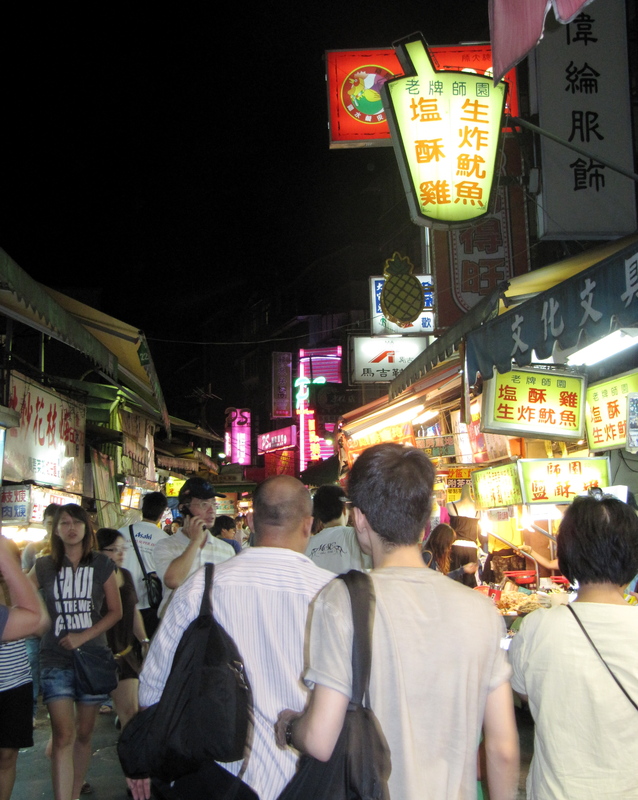 The night markets are the best place for xiaochi (“small eats” or snacks) including spring rolls, grilled chicken,tofu, crepes, noodles and bubble tea too. 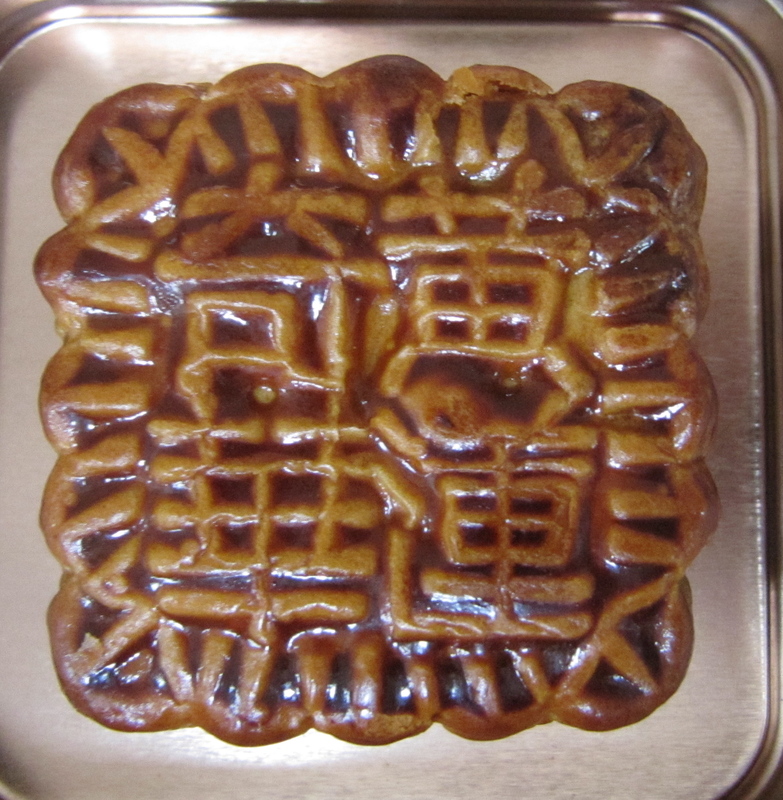 There is one sweet in Taiwan that stole my heart years and years ago – the humble moon cake.I can’t help being excited about a moon cake.They are so perfect I could just look at them all day! I was lucky enough to be in Taipei for the moon festival, this is the time to pick up the moon cakes that are available all the time in Hong Kong: the ones with lotus seed paste. Anyway, some of the many worthwhile restaurants include: DinTaiFung for it’s famed and fabulous DUMPLINGS! These Taiwanese Dumpling artists ply their trade all over the world: They have restaurants in Beijing, Australia, Hong Kong and a few in Taipei. In my extensive dumpling experience, they haven’t put a foot wrong yet! There’s one DinTaiFung in Fuxing SOGO department store and the one I went to was on Zongxiao East Road (no. 218, sec 4) and the main one is in Xinyi. DintaiFung is more expensive than your average dumpling place – about $20 p/person for a large meal including beef, noodles, dumpling and vegetables – but you are paying for quality. There are great dumplings all over town, like the Beijing place called Banmuyuan in the 101 basement food court – not expensive here but very fresh. 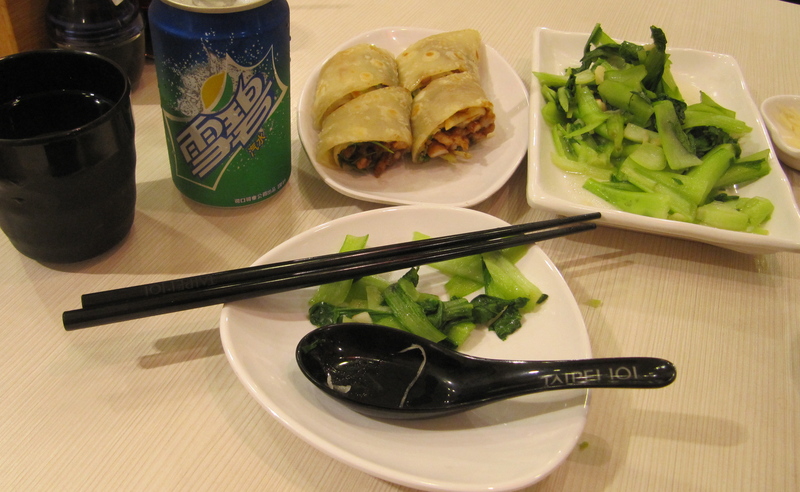 They have a variety of dumplings, vegetables and Beijing-style pancake rolls. one is not at all cheap, but the Golden Dragon Restaurant in the Grand Hotel is spectacular: I recommend the lunch Dim Sum course. She is good and thorough – every type of restaurant is covered here. Regarding Shopping in Taiwan: I still maintain that Hong Kong is the best shopping in the world, and, as you see from my HK entry, it’s pretty hard to compare it to any other city.I am not going to trash Taipei as a shopping destination, though. The night markets are quite good. Shilin market the cheapest, biggest and the best. This is the first one I went to with E all those years ago and I still have the teapot and pink jade bracelet I bought there – they’re still going! Shilin stays open till midnight or later every time I’ve been.Shida market is more expensive but has high quality dress jewellery, artisan’s soap, boutique clothing stalls and snacks but – things start winding up early, around 10.30pm!The night markets have cheap clothes – some of them aren’t too bad. 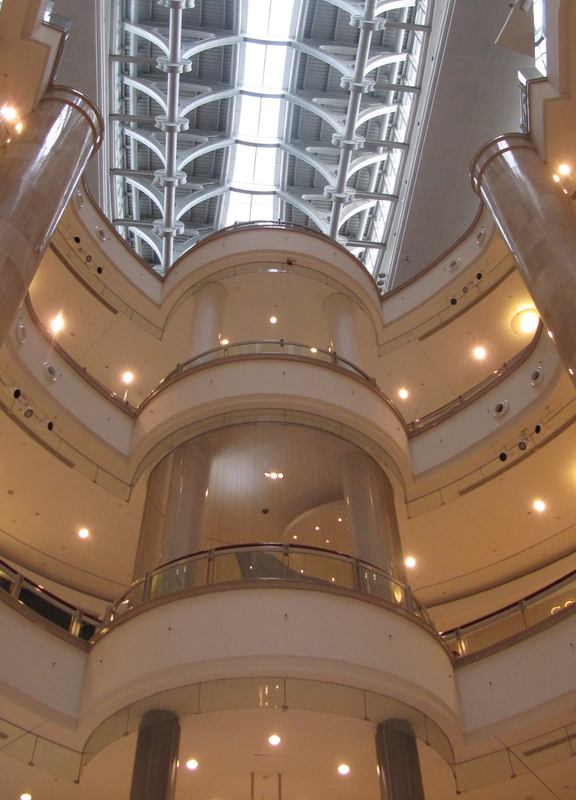 The 4 or 5 malls in Taipei that I’ve been to seem to be quite expensive but they all seem to be competing for the most remarkable architecture and interiors, so they are worth a look if you appreciate design or architecture. Leeco: pretty posh for a factory shopping centre! The malls also has products from Longchamp, Burberry, Coach and Blumarine Bags which are always at least 15% off – sometimes less. There are no fakes here, obvious by the lack of gaudy Dior and Gucci accessories – just quality cashmere clothing and beautiful, Italian made shoes. The Max Mara and Hugo Boss stores always have something, but be warned: it’s one of those places you’ll be searching in all day and come out with 4 items. They will be, however, screamingly cheap and very good. This trip I came away with Max Mara shoes, a Hugo Boss dress and a Ralph Lauren skirt. It cost a little more than dinner at my favourite restaurant, so worth a day of ferreting through extra small, lime green sweaters. 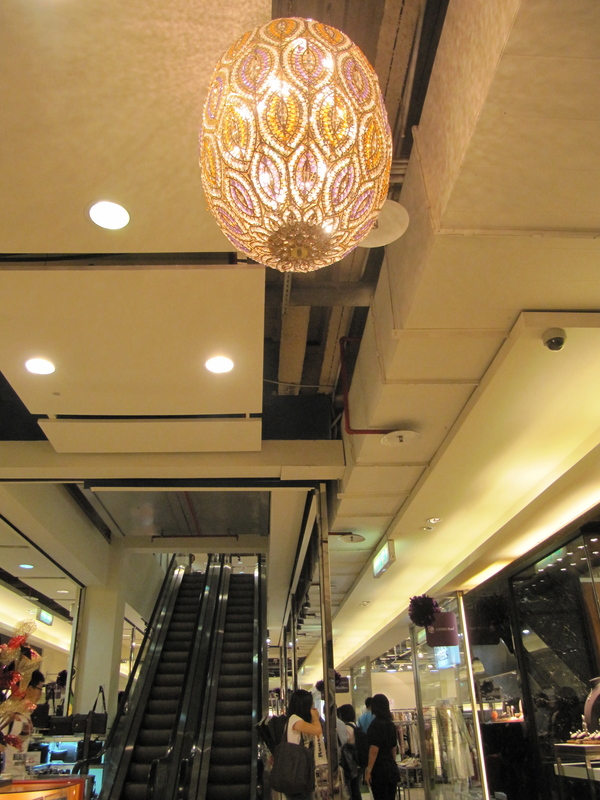 Other than these places, the big shopping malls such as 101 Taipei have about 5 shops that I would consider. The rest of the shops sell $5000 earrings and other stuff that I don’t usually buy on a regular basis. 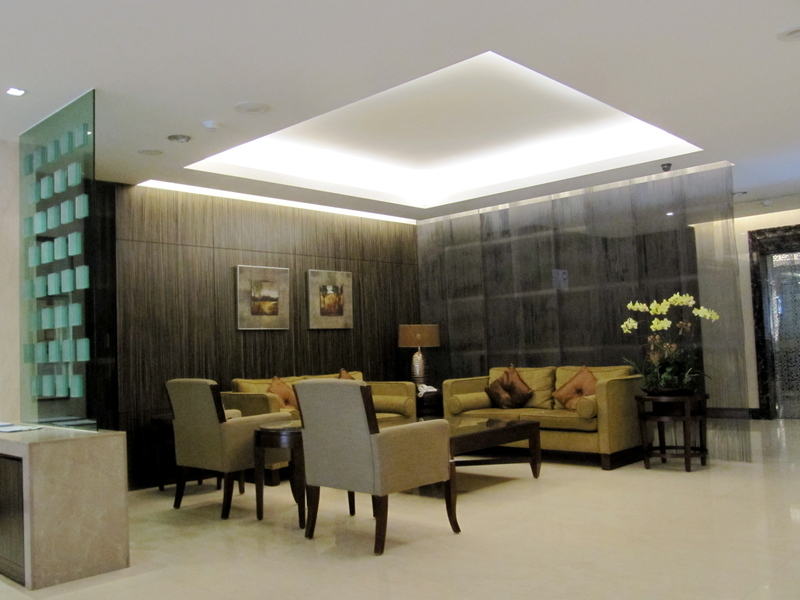 101 is as luxurious inside as it is on the outside. I do recommend checking the lower floors for Chinese delicacies to eat/take home. Still – you have to see 101. 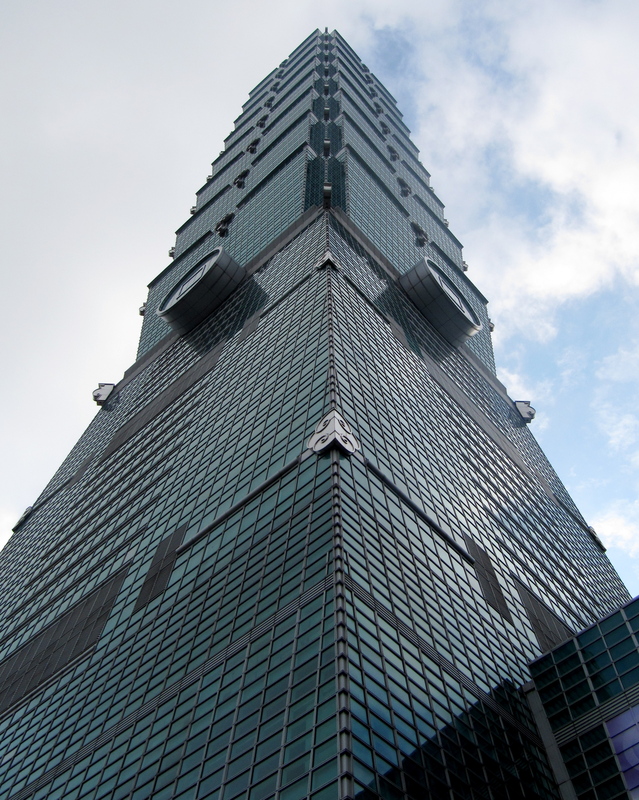 Well, if you are in Taipei you can’t really miss it but I mean the Taipei 101 Observatory is like nothing I’ve ever seen before. 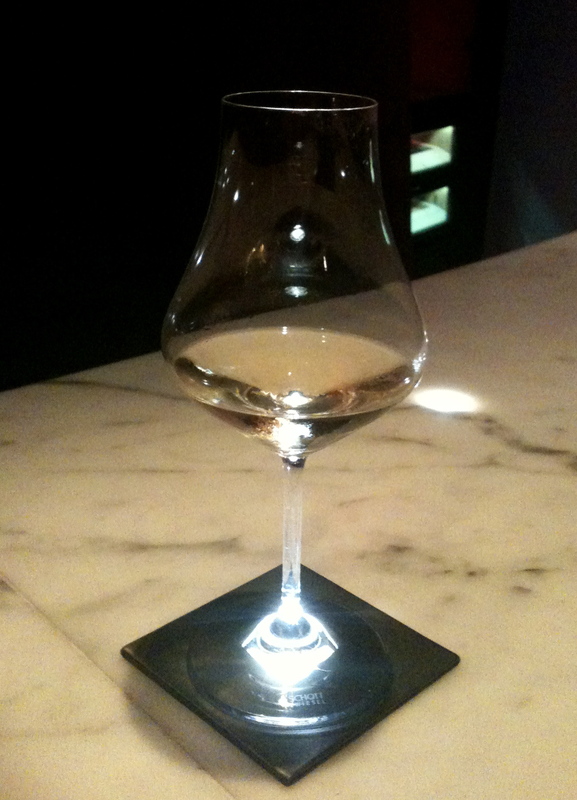 It’s just stunning and I love the Modern Chinois aesthetic. The Core Pacific City (aka – Living Mall) is also an interesting building but the shops are pretty dull. in 2001 it was constructed from imported granite and has a multi-level, spherical structure in the middle – impressive to look at, I must admit. It was the biggest and most exciting mall before 101 and originally a 24-hour shopping experience but things have changed: Living Mall now closes around 10pm, like all the other malls. I found that there is not much to eat (I did try – dreadful noodles containing eyelashes) or to buy there in my experience. The Mira department store within the complex is not exactly filled with cutting-edge fashion pieces and apart from a movie theatre, a games area, an Esprit and a good makeup/beauty floor I have no reason to return. 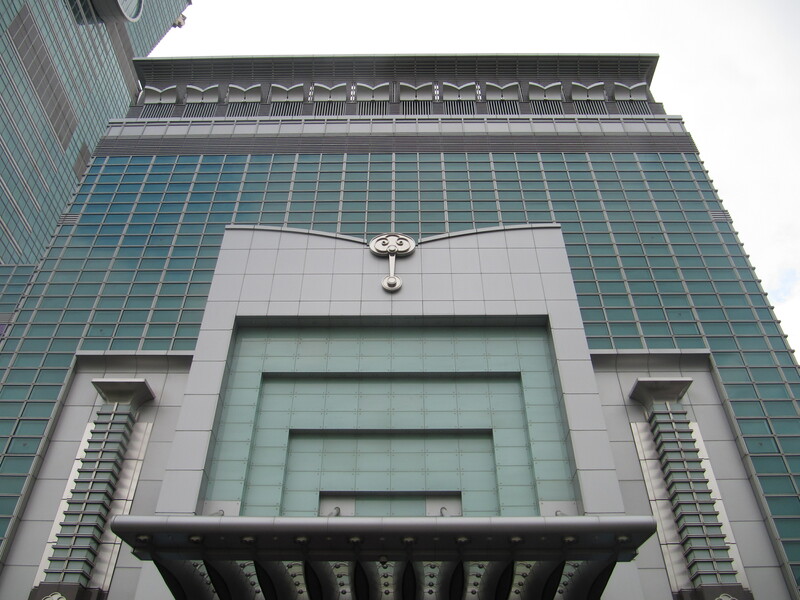 It’s not a place to shop, but the Taipei Grand Hotel is also a noteworthy building. I haven’t stayed there yet but I intend to do so next time. Here’s a welcome revelation about hotels in Taipei: they are nice and quite cheap in comparison to other capital cities in the region such as Hong Kong, Tokyo, Shanghai and Seoul. Even some of the best hotels are not out of reach for a traveller to stay for a few nights. 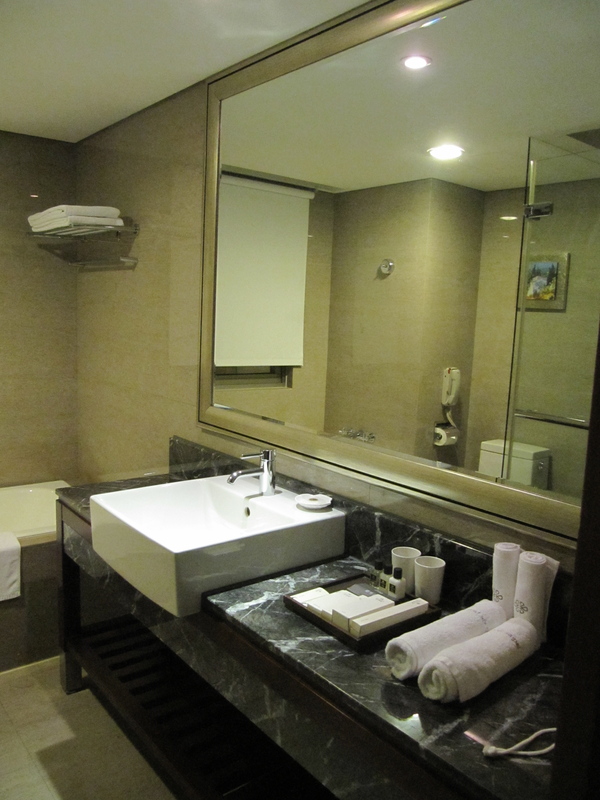 Most of the 3 to 4 star business hotels are $50 -$80 p/night and they are very nice: comfortable beds, very clean, never shabby and often including breakfast. They have very amusing English names such as Taiwan Angel Luxurious, Beauty Hotels, Royal Biz Hotel, Dandy Hotel Daan and the slightly more expensive Hotel Sense. All of the above hotels are either very good or excellent. High quality service seems to be pretty standard in these places where I’ve stayed and my friends who’ve stayed in the Royal Biz and the Beauty Hotel Daan were very impressed. They seem to be popular on Tripadvisor, too. After a day of seeing Chinese gardens, museums and fascinating buildings you probably need a drink. Taiwan is anything but short of bars and nightclubs. 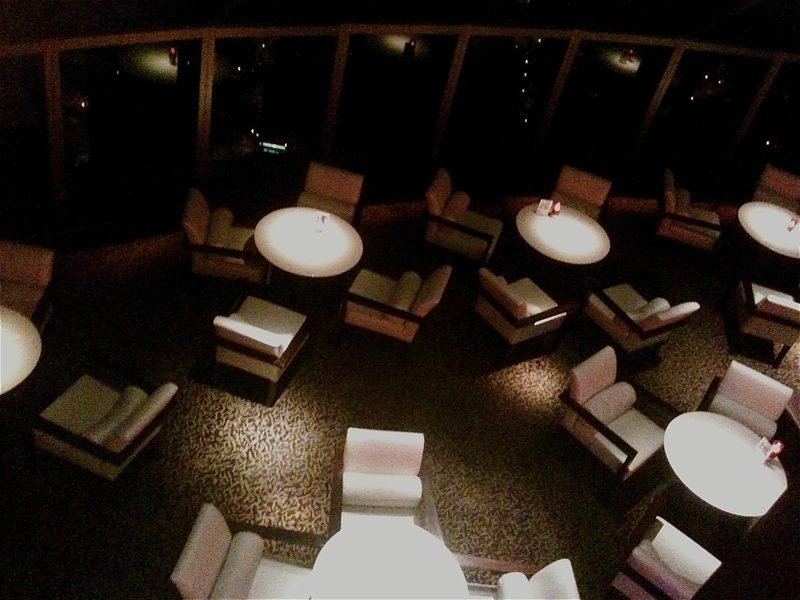 I went to the Shangri La’s Marco Polo Lounge for a cocktail and a view of the city and I remembered another reason to recommend recommend Taipei: the Taiwanese! It’s impossible to seem uncomfortable or alone when they are around. I made loads of friends in the gardens, at the markets… when I was getting a taxi home from the Shangri La when I met some girls, now my friends M and S, and they took me out for the rest of my stay: I got to go to the places on An Ho Road (one of the nightlife areas) that I wouldn’t have gone to by myself. Room 18 – near Taipei 101 – is one of the coolest nightclubs to go to these days. It’s also friendly ,buzzing and a factor that makes it so pleasant is that the club scene in Taipei is safe, not messy and violent as in other cities. You can relax here. They’re not really luxurious or trendy, but being a fan of fun pubs I recommend Carnegie’s at 100 An Ho Road . This place is something of an institution and patronised by fun locals and foreigners alike. This is the same bar as the one on my beloved Lockhart Road in Hong Kong but bigger – the offer rock music; fish and chips/bangers and mash and, as with the other Carnegie’s, dancing on the bar! I believe there’s a Carnegie’s in Perth too. The youthful and hip Taiwanese go to clubs such as the mainstream Lava in the Xinyi district, it’s popular and very young – most of the crowd being in the 18-30 set – it’s a great place to meet locals, who are very obliging and are happy to take you to the next venue with them. I turned up during a trance event that was wildly popular. Lava is closed on Mondays and Tuesdays. Ticket price depends on the event. There is a popular club called Luxy that I visited seems very happening on weeknights, there seem to be more foreigners here. Of all three clubs, I prefer the music here, they have international DJs. The entry fees on other nights, and for men every night include drinks. It’s cheaper if you get to Luxy between 10-11pm, they have a happy hour. Wednesday is Ladies Night in both clubs. Brass Monkey is a sports bar/pub which has salsa nights and pub quiz nights – fun and diverse entertainment. I felt as though being a foreigner means that you get a lot of attention in this bar, we had several people come and chat to us and also invite us elsewhere. Maybe the Taiwanese hospitality rubs off on the expats from around the world who live there, as these are very friendly and fun places. If you walk in there alone, you won’t be by yourself for long. I can’t wait to get back to Taipei.